The folks at Piano Marketing Group are telling me that the Brodmann PE187V has become the most sold grand piano in their line up. What makes that interesting is the 187 is a 6 ft grand. Its important to note that this is unusual because most companies sell 5 ft to 5 1/2 ft pianos more than the larger model. Few companies can boast that their number one seller is so large. WHAT MAKES THE PE 187 SO SPECIAL? The PE 187 is a hit because it was originally designed in Austria as an exact duplicate to another very famous European piano. The scale design was altered slightly to make it more European in design and appearance. Of course, the piano has a special sound and touch with wooden sharps and a beautiful bronze plate. Additionally the piano has a very clear and distinctive sound that demands your attention. Simply amazing. Brodmann is available in the U.S. through Piano Marketing Group. Contact us for more information. In 1877 A. Geyer Piano Company began in Eisenberg, Thuringia Germany. At that point in piano history Eisenberg was an important area for building pianos. At that time they also made pianos for other companies as well. While strict attention to detail is still a major point of what they do, the company has changed a bit. The new company is headquartered in Wiesbaden, Germany. Christoph Schulz is a fifth-generation piano builder. His partner is Frederik Steffes who is the former owner of Wilh Steinberg factory. Rounding out the trio is Colin Taylor, formerly with Bosendorfer and former partner of Joseph Brodmann Group. The actual manufacturing of the piano located in an area just outside of Shanghai (another major area for piano building). Additionally, the piano is still designed by the German engineers. As a result, The founding trio says that they believe the German techniques and Chinese resources have led them to a superior product for a lower price. A. Geyer piano has three uprights and five grands in their lineup. As a result, several parts of the piano are made in China, many of the musical parts of the piano are made in in Europe. German Wurzen felt is used for the upright hammers, and Abel hammers for the grands. All pianos have a solid-spruce-core veneered soundboard and Japanese Suzuki strings. Additionally, the actions are designed by Germany and assembled in China. All pianos are carefully examined by European craftsmen before shipment. Gebr. Schulz pianos are known as a regional piano brand that has been in existence since 1888. The Schulz family was involved for almost a generation before. 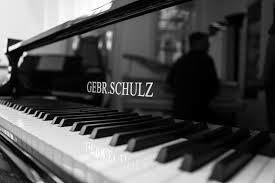 The original Schulz and his partner, Mr. Helfferich owned the famous Grotrian Steinweg GmbH Pianos company. At that time Mr. Schulz’s son Albert was a designer for the iconic Ibach pianos in the early 1900s. Together they set up Gebr. Schulz Piano Company. They made and sold pianos from their factory in Wiesbaden Germany. This is the headquarters and workshop to this day. At this time Gebr. Schulz was available mostly in Germany. Five generations later Christoph Schulz continues the legend. Globalization in manufacturing brought in Frederik Steffes and Colin Taylor. Steffes who, until recently owned the Wilh. Steinberg piano factory in Eisenberg, Germany. Taylor, formerly with Bösendorfer was also one of the founders of Joseph Brodmann pianos. The collaboration of these three men has launched Gebr. Schulz into a global network. Schulz is now extending their reach to include Europe, the USA and the Far East. Using global partners the journey goes on. The dedication of building German scale designs and European influence continues. Schulz has coupled the heritage of traditional construction with intelligent global manufacturing processes. At the same time keeping the prices affordable and realistic. Today they are investigating improvements of the piano action and keyboard. These investigations are producing lovely European sounds and smooth action results. This combination is seldom found in instruments in this price range. In the USA, Gebr. 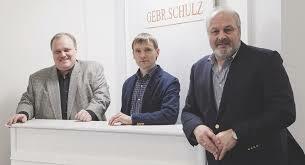 Schulz is distributed by Piano Marketing Group. For more information contact Scott Shebeck at Piano Marketing Group or send message below. The infamous Joseph Brodmann was born in 1763. As a young man he made his way to Vienna, Austria to become an apprentice. The piano builder that hired him was none other than Frederick Hoffman. 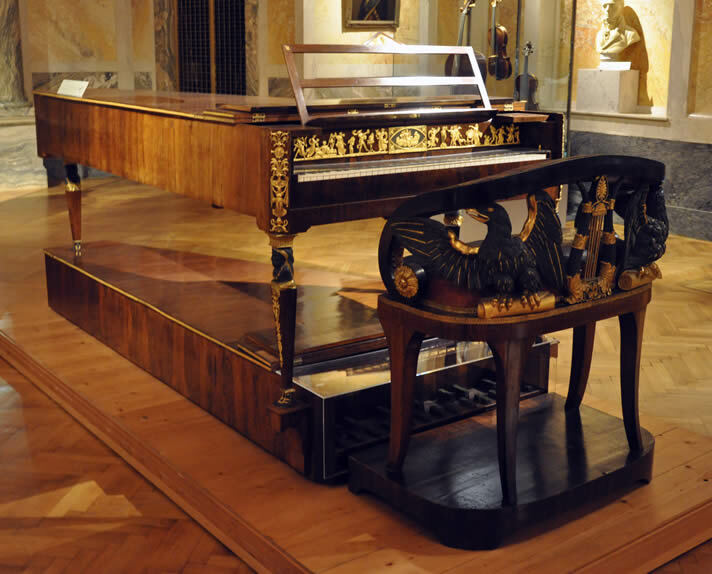 And there in that Vienna studio Brodmann learned the art of piano making. The finest craftsmen in the world were his teachers. 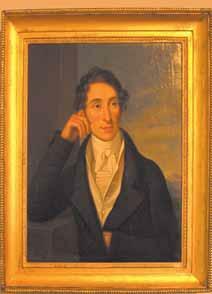 In 1800 he was listed as “Joseph Brodmann – instrument maker, excelled in constructing horizontal fortepianos of solid finish”. By 1805, government records along with business logs listed Brodmann. He was recorded “Piano and Organ builder”. His inventions and inputs throughout his career are still in practice in some part today. He made some of the most important improvements ever. Additionally, Brodmanns changes in the soundboard alone were groundbreaking for the time. His input on rib design makes the soundboards more stable. Many famous musicians, conductors, writers, composers and enthusiasts owned a Brodmann piano and wrote about it in their diaries. The charm of its tone, the tenderness of its touch and the character in its performance made it famous. In the early 1800s Ignaz Bosendorfer began his apprenticeship under the talented hands of Joseph Brodmann. 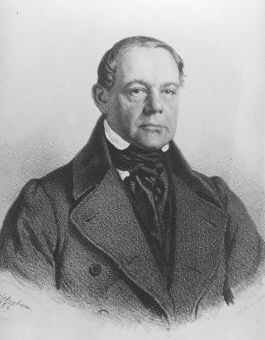 In 1828 Bosendorfer produced his first piano and gave honor to Joseph Brodmann. The fallboard said “Made in the workshop of Joseph Brodmann”. The rich Viennese character of Brodmann pianos continue to this day. Each piano is carefully constructed using only the very finest components available creating the European Scale Design it has always been famous for. Today, Brodmann is represented in the U.S.A. by Piano Marketing Group. From the home offices located in Tustin, CA Brodmann is distributed throughout the U.S.A. to caring dealers. Each dealer is specifically chosen because of their reputation and dedication to fine pianos. I have written about these guys before several years ago. I just had to spend a moment talking about them again. Hope Walter and her husband Kevin have an unrivaled team of professional piano movers at Walter Piano Transport . 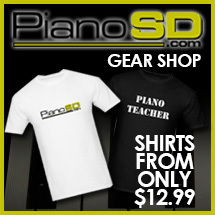 They expertly execute professional and private piano moves all over the United States. Some wrongly assume they can handle their piano move by themselves. They put their prized possession in the hands of furniture movers who know nothing (all though all movers say they handle pianos) about moving pianos. I get calls on a regular basis from customers who have moved across country or across the state or across town complaining that they have lost parts of their grand pianos or have a broken pedal on their upright. Worse yet, there are a lot of broken legs and damaged case parts because “the guy who said he knows how to move pianos” doesn’t. Hope and her staff are not only pros at moving but more importantly, they love what they do and do it with the care your piano needs. WHAT INFORMATION DO THEY NEED TO GIVE A QUOTE? Generally speaking they are going to need to know where you are moving from and if there are any steps, strange turns, etc. Then, of course, they need to know if they are moving an upright or a grand and what size they are. If you are not sure, if you can provide a model of your piano they can help figure that out. Trust me – if you are moving across the country trust a group of professionals to handle the job. You will be glad you did. Take a look at their website here, give them a call and get a quote on your next job. Of course I am a little biased BUT it is my blog so I get to start wherever I want to……..LOL. Along with my job as General Manager at Hollywood Piano, I work with Scott Shebeck and Peter Hong in a distribution company called Piano Marketing Group. We are distributors for such top brands as Dynatone Digital Piano which is based out of Seoul Korea, Wilh. Steinberg Piano which is based out of Eisenberg, Germany, Brodmann Piano which is based out of our offices in Tustin, CA, A. Geyer Piano which is also based out of Eisenberg, Germany and finally Gebr. Schulz Piano which is also based out of Wiesbaden, Germany. The guys that make up this three man team are industry veterans who make up a very unusual trio. Peter who owns the company is in charge of inventory and finances, Scott is the National Sales Manager and myself who does as he is told. Together with Scotts understanding of the wholesale market, I have an understanding of the retail market and Peter who seems to be the master of all bring an unusual perspective to the table. In the present market we find several different perspectives. We have to remember first our dealer base but also bearing in mind the “end user” as well. From purchasing to selling to dealer sell through we have to think for our customers AND their customers. I can say that from my perspective I am very proud to stand with these guys as we market our products across the U.S. and also VERY proud of the products themselves. Each MFG uses quality materials and employees very talented people that make the instruments that we sell. Thank you Scott and Peter for allowing me to be a part of your team for almost 5 years now. I really appreciate it and I can say now, more than ever we have a VERY bright future ahead of us. I have said many times that the holiday season for me starts in October with Halloween, then Thanksgiving, Christmas, of course, New Years and finally NAMM. This year is no exception. I am always very excited when NAMM arrives. For some people NAMM is a drudgery of 2 days of set up, 4 days of standing and hard work. For me it has always been fun to show our latest projects, see what other people are doing and having the opportunity to build relationships. Lots of great opportunities await us each year as NAMM opens. NAMM has been in the business of team building and relationship among people for many years and is still going strong. The piano world has suffered some set backs in the past and continues to have its challenges. However, all in all the piano business seems to be holding its own and the dealers that have embrace the internet are being successful. Each year in January NAMM has four unbelievable days that allow the most popular manufacturers, distributors and music companies to show their wares. This is our chance to see and sample different products. Most every piano company, keyboard company, organ company in the world will attend on some level. People from all over the world will gather for 4 days where we have the opportunity to do business or simply develop a relationship. this is the reason for NAMM. In my next article I am going to discuss who will be there and what you can expect if you are attending.